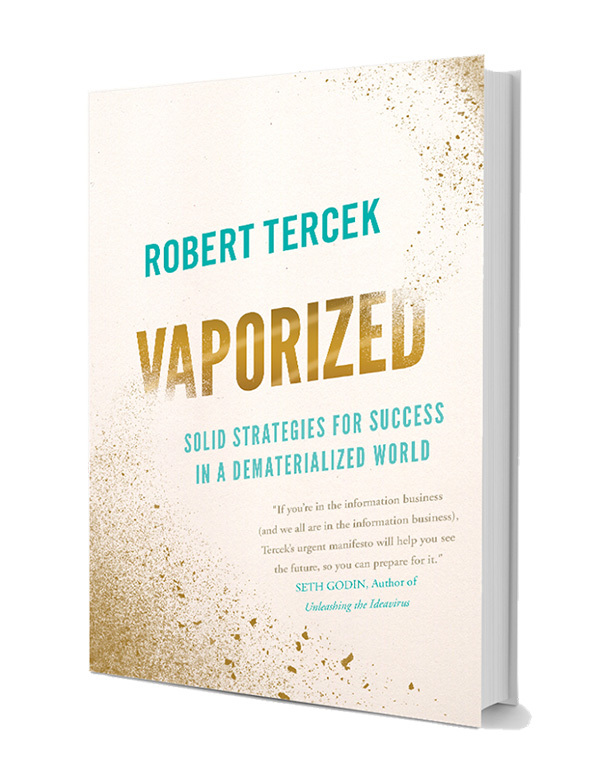 Robert Tercek is a digital business guru, author and previous executive at MTV, Sony Picture and The Oprah Winfrey Network (OWN); and his new book, Vaporized: Solid Strategies for Success in a Dematerialized World, is sending a resounding message to all business owners and consumers: Digital technology is overtaking traditional business models – adapt, or be forced into obsolescence. Some companies just have an “it” factor—and it can make all the difference. Take Amazon, for example. Recent thought-provoking articles in Business Insider and HBR blogs have suggested that investors ought to be thanking and not tanking Amazon in response to the company’s moves to position itself for long-term success rather than short-term profits.